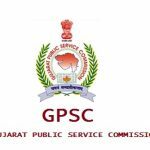 GPSC AO Notification 2018- All candidates are hereby notified that the Gujarat Public Service Commission (GPSC) has published a recruitment notification for the admission of 101 Agriculture Officers. All interested candidates can apply online by clicking on the apply online link which is presented to them below. Candidates can apply online from the 15th December onwards which means that the application process is now open for everyone. But please do so before the last date to apply online which is 31st December 2018. So, we would suggest you apply as soon as possible by going to this website- gpsc-ojas.gujarat.gov.in/. This post will give you all the required details of the recruitment which are given in table format below. The GovtJobIndia.com team has given below all the details of the recruitment which contains the GPSC eligibility criteria, pay scale, application fee and more such information. The GPSC Agriculture Officer Recruitment is a splendid chance for all those who wish to secure this govt job in Gujarat. So, we would recommend that you go through the article carefully and apply online before the last date. So, without further wastage of time, make sure to skim through the details of this recruitment. For other age relaxations according to various other categories, head over to the official website and check the official PDF. Bachelor Degree in Science (Agriculture) obtained from any of the Agricultural university. The basic knowledge of Computer Application. 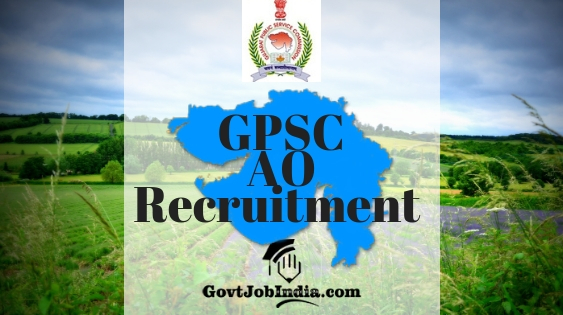 All the candidates who are looking to apply for the GPSC AO Recruitment will find the steps enlisted below which will help them in applying with ease for this recruitment. You can apply online by clicking on the link given below. Please visit the official GPSC website @ gpsc-ojas.gujarat.gov.in to fill in the application form online. Or alternatively, you can click on the link given below and go directly to the page which you will have to fill in order to apply. Make an account and login. You will get an OTR Number. Fill in the number along with your birth date and start filling the form. Fill in the necessary details carefully and enter the date of birth and name spellings as mentioned on the matriculate certificate. Before submitting the GPSC form check the details completely. Once you have filled in the application form, you will need to pay the application fee. The application fee can be paid through Credit Card, Debit Card or Net Banking. Did you find this article about Gujarat PSC Agriculture Officer Recruitment informative? If you did, ensure that you share this article with all those who might be interested in this vacancy. Furthermore, comment below if you have any doubts related to this. In conclusion, we would suggest that you subscribe to our web portal @GovtJobIndia.com for latest updates about the latest and upcoming govt job recruitment.